The Antique Gallery of Mesquite (formerly the Dusty Attic) offers a solution to global warming: “Go Green with Antiques”. Come enjoy live music and refreshments. Sign up for scheduled prize drawings. 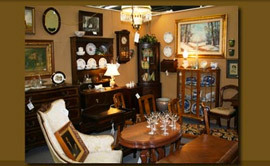 Our store has over 36,000 square feet of excellent quality antiques and collectibles.